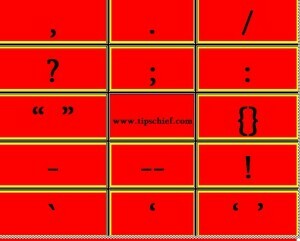 Variations in tone and short and long pauses in speech are indicated by different marks of punctuation in writing. The aim of all these signs is to make the sense clear and to record, truthfully the tones of the speakers. In most cases, the practice of good writers differs from one another. Whereas some writers would not use any signs other than the obvious ones (period, comma, exclamation and Interrogation) and those, too, scantily, there are others who are notorious for the excessive and burdensome use of almost every sign. Writers like Carlyle have used even capital letters and hyphens unnecessarily and excessively. A general rule for the students is to use the punctuation marks sparingly, and to avoid the use of commas where the sense is clear and comprehensible. Prof., Maj. Gen., F.A.., B.A., etc., e.g., i.e. Abbreviations for Government agencies and international organizations DO NOT have full stops. UNESCO – United Nations Educational, Scientific and Cultural Organization. Mr., Mrs., and Dr. may be written with or without a full stop. E. Three full stops are used to mark the omission of a part of a sentence from a quotation. Would you please give me a piece of paper. New World Dictionary: The Pakistan Review; The Muslim Community; The Little Girl Found; Red Shoes. The question marks is used at the end of a direct question: what is your name? “What do you insist on seeing him?” he said. What are you going to do new? Face the challenge like a man? Or shut your eyes like a pigeon and hope that the danger is over? A question mark enclosed in parentheses used to indicate doubt about the correctness of a word, number or fact; He was born in 1550 (?) and died in 1610. He asked me if my brother had returned. The exclamation mark is used at the end of a forceful utterance or imperative sentence: My God ! How could you do this to your own brother “Stop ! Stay where you are !” shouted the policemen. He is an honest, hardworking and conscientious worker. Rising early in the morning, taking a cold bath and going out for a long walk ensure good health. If he works hard, if he works regularly, and if he works intelligently, he will certainly succeed. He sells pens, pencils, markers and paper. I would like tea, toast, and fish and chips for breakfast. Here fish and chips is the name of a particular kind of food. He, not his brother, started the fight. Whatever is, is not always right. Yes, I believe in your story. No, you are not being honest with me. Robert, bring that table here. Oh, I do not mind. We went to his place, however, we could not see him. Nevertheless, I have not lost all hope. Anyway, he did his best. He met an accident on his way to the college and is, therefore, in the hospital. His remarks were unfortunate, uncalled for and, moreover, unworthy of a decent man. He received new instructions and has, accordingly, left for an unknown destination. Consequently, he was forced to resign from the Cabinet. It was June 21, 1980. His present address is 27 Greecy Street, Hogu Town, Bangkok. Dr. A.W. Benet, Director of National Academy. You will consider the offer, won’t you? He said, “I will return as soon as I can”. He is working hard; his brother, not at all. That he would be so rude, none of us expected. None of us expected that he would be so rude. In spite of his bad health, he attended the meeting. If he had not come, we would have cancelled the meeting. Fortunately, he arrived just in time. The mirror, although it was carefully packed in a box, broke into pieces during transit. We were given a very warm welcome, and were delighted. We went to see him at the address he had given us, but no one there had ever heard of a person of that name. He would never agree to this, for he is an honest man. Was it really he who did it? Was it really he, or will it was imagination playing tricks or me? Everyone hates his notorious activities, yet none will say so. We never under-estimated his genius for evil, nor did he himself. The comma, however, is omitted when the meaning is clear. This pen, an expensive one, is a gift from my brother. My computer, which I bought last year, is out of order. Everyone who joins the school must sign a pledge of good behaviour. DO NOT USE A COMMA TO SEPARATE A VERB FROM A NOUN CLAUSE USED AND ITS SUBJECT OR OBJECT. That he has not told the whole truth is clear beyond any doubt. He is a simple, honest, straightforward man. He has fulfilled his promises; consequently, we should honour our obligations. He will gladly help you, defend you and lend you money; but will never recommend you for a job you are not fit for. In view of his unfortunate circumstances, we ignored his negligence, regularized his absence from duty without leave, and accepted his request for a loan; yet he is ungrateful. He refused, once and for all, to accept their demands; and I do not blame him for that. Before you embark upon this new project, consider first, whether you really want to go for it; second, if you have the necessary money to finance it: and finally, whether you have the necessary ability to succeed in it. The profits recorded were: 1982, Rs. 20,000; 1983 , Rs. 30,000. Mr. Samuel Jhonson, B. A Hons; M.A. (London). Noreen cited the line from Chaucer: If gold rusts what shall iron do. Genesis 12 : 3 – 5 . It was 9 : 35 a.m. which it started raining. Darwin boarded the “Beagle” to sail to distant islands in search of undiscovered species of life. He read aloud Wilde’s poem “The Ballad of Reading Goal”. The “invisible” government of the U.S.A. was held responsible for precipitating crisis in the South Vietnam. Ali’s books ; keat’s poems ; Women’s magazines. “Beaux’ Stratagem” is a Restoration comedy. He got three A’s in his annual test. An apostrophe is used to indicate an omission of a letter or letters or figures fro a date. ‘tis (it is ); Don’t (Do not) ; ‘gainst (against) ; ‘84 ( 1984) ; I’ll (I will). Drive-in restaurant ; Dark-green shade. A word of two or more syllables is divided between lines according to pronounceable syllables. When he saw her – and what a beauty she was! – he fell in love with her at first sight. Pages 41 – 48 are missing (All pages from No. 41 to and including No. 48). The Decade of Development 1958 – 68. The coming year (1969) brought another military revolution. Eros (Cupid) is the god of love. Slash is often employed to differentiate between two terms such as “he/she”, “period/full-stop” etc. They are commonly used in place of the words “or” or “and.” They can also used in abbreviations (i.e., S/T, in/out, and/or). 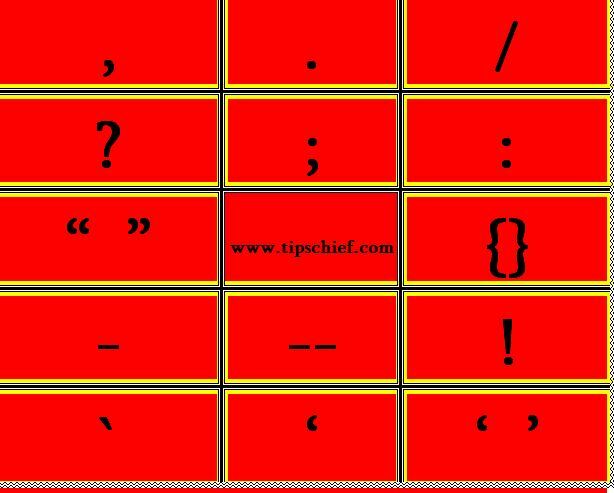 Another use of the slash is to separate verses of poetry when they are written in a text:I have a spelling checker,/It came with my PC./It plane lee marks four my revue/Miss steaks aye can knot sea. They are used when we are going to omit some words or not writing complete sentence e.g. Sil and Gil are two friends, they lived in a …, my mother was a doctor, she loved me very much…., i love my parents especially my father because…. I am ——– student; he is ————- author. ———– students who are present here are all my friends. We shall be staying here for ———- day or two. ——— idiot boy with me is ———– servant. It is ———–best film of —————- year. She bought ————- watch, and then went to ———- station. ————- more you work, ——better will be your result. ————- hour ago we met in —————- hotel. ————- horse is ———– fast – running animal. ————- Indus is ———– biggest river in Pakistan. Chaucer has written ———- Canterbury Tales. We were surprised to meet —- Nawab and ———officer of the government. He works like ————- soldier and reads like ————– scholar. They help ———– poor and ——– sick. It is as big ——–city as London. She possesses ———- house, ———– shop and ——— car. ———– cement which are have used is of ——- fine quality. The people saw ——– tiger and ——— hunter in —– forest where they had gone. Will ———- college play —– match against —– university. They received ———- telegram in ——– university. I met —– Arab on ———- road. We bought ——— new shirt and ——– pair of shoes from market. ——– doctor told ——- patient that he could easily cure him. ——– E terprise ( a ship) sailed over —– Pacific to reach Britain. He lives in ————- small house near ———main bazaar. She is ————–citizen of Pakistan. ———- higher the job, ———- greater——— effort. They told ——— story which was —- most surprising I had ever heard. It was ——— extremely difficult task for me to accomplish (finish successfully). a, an. 2. the. 3. a. 4. a. 5. the. a, a. 15. the, the 16. a. 17. a,a,a. 18. the, a.
a,a, the. 24. the, the 25. the, the 26. a, the. a. 28. the,the the. 29. a, the. 30. an.